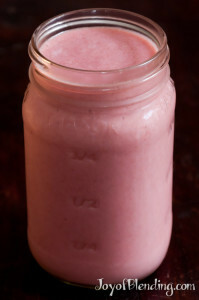 Pomegranates are awesome, but I’ve only recently started putting them in smoothies. Previously I was afraid that their seeds wouldn’t blend smooth enough, and it always felt like a major undertaking to deseed them. It turns out that with a high-performance blender you can blend the seeds pretty smooth. There will still be some detectable texture, but I think it’s perfectly palatable. I recently came across a different deseeding technique that makes it go significantly faster. The flavor of pomegranate can really brighten up a smoothie. One trick is to add a little extra ice and run the blender for longer to get a smoother texture. If you are making a smoothie with a lot of other ingredients, you can give the pomegranate seeds a head-start by blending them for ~30 seconds along with some ice cubes (so they stay cool) before adding the rest of your ingredients. This method does break some of the kernels, but most of them stay intact, and if you’re making a smoothie, it doesn’t matter if some get crushed. I’ve found that splatter isn’t usually a problem, although occasionally a few drops squirt out. I haven’t had any staining problems, but it would probably be best not to do this near stainable things like light-colored clothes. 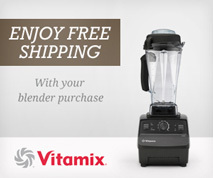 Blend on high for a bit longer than you normally would: try 60–90 seconds. I’ve also blended pomegranate seeds with pineapple, which was pretty good. Update: I have a new savory pomegranate smoothie recipe. Pomegranates are in peak season, so now’s the time to give them a try! 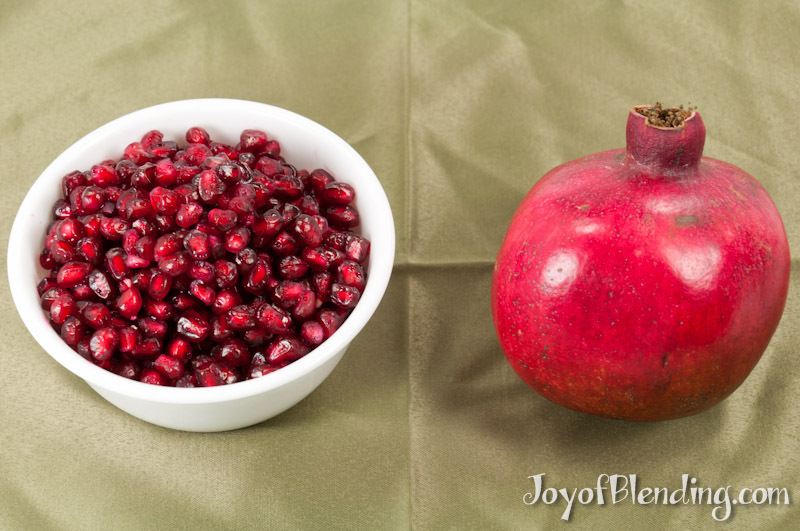 The kernels freeze well (at least for smoothies), so if you find a deal on pomegranates you can stock up, deseed them, and then save frozen kernels for future months. *I’ve tried the bowl-of-water method, as well as the individual-section-cutting method. I thought one of the reasons FOR a vitamix was that in the demos I’ve seen, the apples were not cored. But in this recipe they HAVE to be cored? The apple does not *have* to be cored. I plan on writing more about which parts of fruits to include at some point, but my general rule is that if I wouldn’t eat unblended, then I usually remove it. If you leave apple seeds in, a Vitamix will blend them quite smooth, but apple seeds are a bit bitter so I take them out. They also contain a small amount of cyanide, but it’s not enough to be significant unless you eat many many apples’ worth. appleseeds no good for you? This recipe sounds delicious! Thank you for the deseeding technique. That is going to save me a lot of time! I have read quite a few articles on your website and they are all fantastic and the tips very helpful. I used your pomegranate beating technique to remove seeds today and voila, that was fun and fast. Thanks for posting and sharing your experiences with us. This smoothie is yummy, I just made it. The only additional thing I added to this recipe is some greek yogurt to give it a bit more thickness. This is a really delicious recipe!!!!!! Thanks 🙂 I’m drinking some right now. Regarding the apple seeds, I drink a smoothie every day with a cored apple. I tried using the whole apple with seeds but very quickly experienced heartburn. Did this for a few days and realized it was the apple seeds. Went back to cored apples and no heartburn.